Quote: "More than 2,000 people were evacuated from buildings in central London this afternoon as toxic smoke filled the streets. The Metropolitan Police declared a 'major incident' after blocks housing businesses and part of the London School of Economics were cleared by the emergency services." Quote: "Earlier, onlookers reported struggling to breathe and 'chaos' in and around Holborn." Quote: "Amazing photographs have captured how huge swathes of central London were plunged into darkness due to a major underground fire. An incredible aerial shot taken from the London Eye shows the area affected by the power cut almost completely blacked out after the blaze in Holborn." Quote: "A witness to the Finsbury Park fire tweeted: 'So massive fires under the pavement in Holborn AND on my boyfriend's street in Finsbury Park. What's going on?' Another person wrote: 'So - there's a fire going on 5-mins from my work in Holborn AND 5-mins from my flat in Finsbury Park. Hmmm...'"
Quote: "The fire brigade said the fire was not related to the underground blaze in Holborn earlier on the same day." Quote: "At least four people have died and 45 others are believed to have been injured in a fire at an oil platform in the Gulf of Mexico, the nation's state-owned oil company and local emergency services have said. Some 300 workers were evacuated from the Abkatun Permanente shallow-water platform in the Campeche Sound early on Wednesday morning, according Petroleos Mexicanos, or Pemex." Quote: "A massive ball of flames engulfed an oil platform in the Gulf of Mexico on Wednesday, killing four people and sending terrified workers jumping into the sea." Quote: "The fire was reported around 8:30 a.m. when the duplex owner smelled smoke, walked outside and saw a Ford SUV engulfed in flames. The SUV was just five feet away from the duplex and flames quickly spread to the attic." Quote: "Details are scarce at the moment, however a neighbour was able to snap a photo of the newer model Hyundai vehicle going up in flames. 'No one was in the car and no idea why it started,' the neighbour said. 'Car was apparently brand new.'" Quote: "This poor lady had just picked this car up on Tuesday." Note: Well, she got a couple of days of use out of it anyway! Quote: "'The owners have come home, parked in the garage and their car has caught fire,' Mr Ellams said. 'By the time they escaped the garage and made themselves safe, they called 000 but the fire had already gutted the garage. When firefighters arrived, the fire had spread to the second floor and then the third floor of the house.' An aerial pumper was used in the fire fight due to the collapse." Quote: "It is believed a car fire may have spread from a garage to the large shed on Summerhill Road in Reservoir. There was no one home at the time of the blaze, but a community warning was issued due to the amount of smoke in the area and the threat to surrounding properties." Quote: "The car, parked near Unite 3 Claymore, was 'well alight' and one crew from Tamworth are currently at the scene." Quote: "The new report described a phenomenon called ‘marine photic zone euxinia,’ which happens when the surface waters in the ocean become devoid of oxygen and are made toxic by hydrogen sulfide –a by-product of anaerobic microbes." 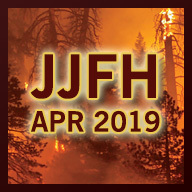 Quote: "The cause of the largest structure fire ever in Jefferson County, which turned into a six-alarm fire and drew around 200 firefighters from all suburban departments, may not be know for weeks. But the fallout was incalculable." Quote: "About 3,000 GE production employees now working at Appliance Park were told to stay home for at least the next week — and about 3,000 salaried workers were told they'd be updated about their schedule on Monday." Quote: "GE spokeswoman Kim Freeman said there were no known injuries. She said the building engulfed in flames was used for offices and storage, and is also used by a private supplier distribution center." Quote: "Nearly 600 cars were destroyed when a huge fire broke out at a used car dealership on Friday in South Korea's second largest city of Busan. Due to the extent of the blaze, around 200 residents were evacuated from their houses in the residential areas around the dealership. No one was injured or killed in the incident, but loss to property was estimated at around three million US dollars according to the County fire officials." Quote: "All 24 of the vehicles in the portion of the Hopewell Township Public Works building that caught fire March 7 have been declared a total loss by the township’s insurance company, township Administrator/Engineer Paul Pogorzelski said. A dump truck that caught fire for an unknown reason started the blaze, which fire companies responded to at 10:15 p.m."
Quote: "Damaged vehicles include 13 dump trucks, a front-end loader, garbage truck, street sweeper, backhoe, bucket truck, sewer/water utility truck, roller, pickup truck, air compressor, tar pot and brush mower." Quote: "Neighbors have also described an odor in the air like sulfur or rotten eggs, which could be poisonous hydrogen sulfide." Quote: "The moment I looked up, it exploded and I saw pieces of the helicopter fall to the ground. Then, there was a bigger explosion. It was louder..."
Quote: "A helicopter crashed outside Kuala Lumpur on Saturday, killing all six people on board, including a Malaysian lawmaker who was a former ambassador to the United States, officials said." Quote: "Selangor police chief Senior Deputy Comm Datuk Abdul Samah Mat said the pilot of the helicopter had informed the Air Traffic Control (ATC) in Subang of seeing the AS365 Dauphin 2 explode in mid-air at about 5pm." Quote: "Sewer gas was detected in some of the affected manholes and may be attributed as a cause, Puliti stated, though she added that nothing is known for certain. After multiple inspections, there were no readings of natural gas found in or near any of the manholes, noted Puliti." Quote: "Two small children died Saturday evening in a minivan fire at an apartment complex in the east Las Vegas Valley. Police responded to reports of a burning vehicle at 5:55 p.m. at the Arcadia Palms Apartments, 3655 E. Sahara Ave., near U.S. 95." Quote: "A driver has died after their car veered off a West Australian road and set the surrounding bush alight. Police say flames engulfed the car, which was travelling at low speed before it came to rest in bush in Northern Gully on Saturday afternoon." Quote: "The death is not included in the Easter road toll because it happened on the side of the road, a police spokesman told AAP on Sunday." Quote: "The town’s highway garage was left without power this weekend after a fire broke out in the building and damaged several town vehicles. Capt. William Sestito of the Scituate Fire Department said the fire was reported around 1:45 p.m. Saturday by a passerby who thought it was a brush fire. Instead, firefighters found that a truck had caught fire inside the building. 'It’s a burden on everyone,” Sestito said. “That’s where police and fire get fuel and the power’s been cut.'" Quote: "Flames spread from a car to a nearby home early Sunday morning on South Padre Island, forcing residents to jump out the windows to escape, according to police. The Port Isabel, Brownsville and South Padre Island fire departments responded to the blaze at about 4 a.m. Sunday on the 100 block of East Saturn Lane." Quote: "Three loud pops happened very, very close. And then I heard this rumbling sound and I opened my eyes and the whole room was glowing orange..."
Quote: "Investigators believe it could have sparked because of a golf cart parked in the home's porch." Quote: "The Xinhua news agency says strong tremors were felt up to 50 kilometers (30 miles) away." Quote: "According to a NCFD release, firefighters arrived around 3:21 a.m. to find a large pile of pallets burning. As of 11:30 a.m. officials said the fire has burned about 1.5 acres on the property but is contained." Quote: "A fire has been reported at the Chitré municipal landfill. Mayor Olmedo Alonso said that the cause of the fire, which was reported yesterday, is unknown. He said the fire department does not have the appropriate equipment to put the fire out." Quote: "D.C. homeland security officials said an explosion at a southern Maryland electrical facility is believed to have caused the power surge that temporarily knocked out power to the White House and much of downtown Washington, according to the Washington Post." Quote: "Numerous Chicopee residents and businesses are without power after an underground transformer exploded on Tuesday morning. The explosion occurred near the intersection Granby Street and Grattan Road at about 11:15 a.m."
Quote: "The explosion occurred when Jakir was checking the water level with a candle during a power outage, said Sentu Das, assistant sub-inspector of Dhaka Medical Police Camp. Police suspected that trapped gas caused the explosion." Quote: "Claudia Winslow, who lives near the business, said she saw a transformer box near the business on fire and she called 911." Quote: "Power generation at the 500 MW unit of the Ballari Thermal Power Station in Karnataka has come to a grinding halt following a major fire, a BTPS official said on Tuesday." Quote: "A search team on Thursday found the body of a 12-year-old Israeli girl, the only fatality from a tourist boat that caught fire in the Andaman Sea off the country's southwest, Thai officials said." Quote: "The fire burned the ferry to the waterline, after which it sank." Quote: "On Apr 7, 2015, at 5.46 p.m. a fire broke out in the engine room of the Dutch flagged, self propelled barge 'Earth Quake', 1299 ts (EU-No. : 02317994), which was berthed at the quay of the Rhine port of Wageningen." Quote: "The homes were evacuated as a precaution after authorities detected methane gas leaks in three homes. Roads also cracked and buckled." Quote: "Methane from the mine shafts is bubbling up to the basements of a few of the homes, causing them to buckle. Ameren Illinois is working to clear the gas out. While not poisonous, methane is highly combustible. The utility company shut off power for about 70 customers to prevent a methane explosion." Quote: "Chapel Farm Industrial Estate is on the east bank of the River Ebbw, near to Cwmcarn Primary School and the larch trees of Cwmcarn Forest Drive." Quote: "A British Airways plane from Baku to London aborted its flight after a fire was discovered in one of the engines. The plane 'Aerobus-321' has taken off at 21:19 (local time)and after 11 minutes the captain of the plane contacted the air traffic controller service of the Haydar Aliyev International Airport. Informing about the fire in one of the engines, he requested priority landing..."
Quote: "Police found the suspect in the ceiling and had to help him get down. He was still naked and talking nonsense." Quote: "Reports say she was accused of biting and scratching members of the cabin crew. Following the incident, the woman, who was in her 80s, was restrained, according to Irish media." Note: When all you have is teeth, everybody looks like a sandwich. Wait, I don't think that's how the saying goes! Quote: "An underground explosion in west Edmonton has knocked out power to some houses in the area. Edmonton Fire Rescue confirms the blast, near 88th Avenue and 181st Street, has lifted part of the sidewalk." Quote: "Fire crews were alerted to the underground blaze when a resident phoned them at 9.30am, believing her car was on fire. When firefighters investigated they found the car was actually parked on top of the blazing manhole. They found that the fire had also caught hold of the car." Note: Must be all the *cough cough* salt and snow that none of these places are experiencing! Quote: "One male third-year student was killed in the crush of students, Peter Mbithi, Vice Chancellor of the University of Nairobi. The injured students have been taken to hospitals for treatment, he said. He said an electrical transformer exploded and students thought it was an attack by Islamic extremists..."
Quote: "Efforts by fire teams to contain the blaze in port proved futile and, amid fears it might sink and pose a hazard to other ships, two tugs were brought in to remove it. The fire continued well into yesterday when the stricken ship was 30 miles south-east of the island and there are fears that it might not burn itself out for several days, causing serious pollution. Experts have criticised the decision not to sink it immediately in deep waters as soon as it was safely out of the busy port." Quote: "A man was badly burned Monday in an explosion and fire aboard a boat parked on a trailer in front of his home in East Vancouver. A witness told KGW he noticed his neighbor doing some work on his boat and then all of the sudden there was a loud explosion." Quote: "A boat has been destroyed by fire in O'Connor overnight. The cause of the blaze about 1am at a commercial yard in O'Connor is not known. It caused about $100,000 damage." Quote: "A massive fire raged landfill in Al Sajjah Industrial Area of Sharjah on Monday night. Sharjah Civil Defence said no injuries were reported in the blaze that is believed to have started at around 7.40pm but the site which belong to Be'ah was completely destroyed." Quote: "The fire comes just weeks after the country was forced to foot a more than J$200-million bill to extinguish one of the largest fires at the landfill. That fire had forced a lockdown of more than 50 schools and other businesses across the Corporate Area and parts of St Catherine." Quote: "The Swan River Fire Department was called at around 12:30 p.m. Monday to a grass fire located at the landfill site. Large plumes of smoke could be seen for miles coming from the area. Upon arrival the fire had spread past the landfill and over a road into an adjoining field." Quote: "Officials tell us mulch, pallets, and other debris caught fire at the Lackawanna County recycling center along Boulevard Avenue in Scranton." Quote: "The fire started around 5:30 p.m. on Tuesday, April 14, and smoke from the blaze could be seen for miles around Genesee County. Flint Fire District Commander Mark Kovach said a large heap of garbage at Averill Refuse and Recycle caught fire." Quote: "Firefighters responded to a pile of crushed cars and steel on fire at a recycling yard Tuesday. Firefighters had to dig with heavy equipment to get to the source of the fire at the metals recycling facility Schnitzer Northeast on Riverside Street." Quote: "Thompson estimated the pile of metal and other materials was about 100 feet long, 50 feet deep and 25 to 30 feet high." Quote: "Fears of fresh eruption of Mount Zao, a volcano that sits on the border of the Yamagata and Miyagi prefectures, rattled Japan after the country’s meteorological agency recorded 12 volcanic earthquakes on Tuesday. The seismic activity prompted warnings of a volcanic eruption, with the agency asking the public to stay safe from falling rocks in a 1.2 km radius of the volcano, The Japan Times reported." Quote: "The last eruptive activity at the volcano occurred in 1903, though prior past eruptions were among some of the largest in recorded history." Note: MISA Theory is looking scarily accurate with each passing year as volcanic activity continues to escalate. More volcanism means more methane and hydrogen sulfide bubbling up from the oceans. That's the same ol' extinction event that's killed off most life on Earth before and it's doing it again, a kind of cycle that the Earth goes through from time to time. Too bad we're around for it! Quote: "Mounties have also been seen wearing gas masks in the area. Officials are urging residents to stay indoors and avoid the downtown area." Quote: "A yachtsman was treated for burns following an explosion on a vessel anchored off an island near Oban. The Oban lifeboat was launched on Thursday evening after the explosion near Puilladobhrain, which blew out the boat's windows and hatch. The owner managed to escape the vessel and rowed himself ashore, making his way to Oban hospital. He was later transferred to Glasgow for treatment." Quote: "The mid-season closure highlights fishery managers' intense concern about a collapse that has decimated sardine stocks in recent years. Today, there are only 10 percent as many sardines in the water as there were in 2007. Council designee Michele Culver of the Washington Department of Fish and Wildlife proposed the closure, calling it an 'urgent action.'" Quote: "They have urged the National Park Service to bring more wolves to the island to reinvigorate the gene pool. But it may be too late to rescue the current population, which likely consists of one mating pair and a pup — all heavily inbred, biologist John Vucetich said. 'These are the last dying gasps,' he said." Quote: "The Embassy contacted the South African Police who confirmed the deaths and additionally stated that they were found in a salon, which was locked, and upon breaking in they found the bodies of the four persons all of whom were foaming at the mouth." Quote: "A quiet Saturday morning turned disastrous for residents of one Queens block when two manhole explosions set two parked cars on fire, officials said. Firefighters were called to Metropolitan Ave. and 69th Ave. in Forest Hills after the 6:30 a.m. explosions rocked the street. Residents were left without power as firefighters doused the burning cars." Quote: "The rise in Northern Hemisphere ocean temperatures was especially profound in September and October 2014, when methane started to erupt from the Arctic Ocean seafloor in huge quantities." Quote: "It was the sound of this man's screams that brought Blazovich and his friend Nick Maher to the end of a Broadway Avenue alley. 'Well at first it was kind of a shock when I walked around the corner and there's a naked dude screaming a bunch of random stuff,' Maher said." Quote: "Police are still trying to figure out why a man jumped naked into the Ohio River around 7 p.m. Sunday. Rescue crews were called to the Beer Sellar in Newport after a man in his 20s stripped off his clothes and went into the swollen river, Newport police said. Friends with the man tried to grab him before he jumped, according to a Beer Sellar employee." Quote: "The underground fire occurred on the 100 block of North Wayne Avenue. Officials received several reports of a loud blast heard in the area moments before the outage." Quote: "The blaze broke out just before 11:00 Monday night on Concession Road 3. Deputy Chief Mark Berney says more than 100 vehicles were engulfed in flames and it wasn’t until about 3:00 a.m. before the fire was considered under control." Quote: "A Karachi-bound flight of Shaheen Air made an emergency landing at Benazir Bhutto International Airport in Islamabad on Tuesday after one of its engines caught fire soon after the take off." Note: These are the 229th, 230th, 231st, 232nd and 233rd buses to burn in 2015. Hydrogen sulfide is reactive with rusty iron/steel, found on virtually all vehicles, and copper, especially electrified copper, also found in virtually all vehicles. So vehicles are burning up regularly, and it doesn't matter much if they're parked or driven. This same problem is causing a lot of underground electrical explosions and fires as well, along with many general home and business fires and explosions, animals dying (especially oceanic species), people mysteriously dropping dead, sometimes while foaming at the mouth or bleeding out from nose/mouth/ears, people stripping naked and going insane, etc. Quote: "Police and fire officials, along with SkyWest maintenance crews, checked over the plane and could find nothing wrong after 14 people reported feeling ill and three lost consciousness, according to the airline." Note: Late last year, 16 people sickened on a passenger plane with vomiting and eye irritation and the plane was forced to make an emergency landing in Rome (Italy), mentioned in the 2014-12-06 update. A child and another person sickened on a passenger plane flying into Chicago (Illinois), mentioned in the 2014-10-22 update. Five passengers sickened with flu-like symptoms on a passenger plane landing in coastal Boston (Massachusetts), mentioned in the 2014-10-13 update. As many as 60 children sickened on a passenger plane flying from coastal Cape Town (South Africa) to coastal London (Britain), mentioned in the 2014-05-05 update. And so on. Obviously, as the atmospheric contamination has intensified, passenger planes are more often flying through clouds of hydrogen sulfide and people will get poisoned that way. The seats themselves may also become contaminated - possibly before anyone even boards - and in that case nobody will smell anything, but people will still get poisoned by skin contact. The same thing is happening with ground vehicles - people are driving through invisible clouds of gas or touching their seats after the seats have been contaminated, resulting in people losing consciousness, having seizures or 'medical events', or flat-out dying while driving. Hydrogen sulfide and methane are also both highly flammable gases, so more planes and helicopters have been coming down smoking or burning or crashing (though some of the crashes are caused by the pilot falling unconscious or dying at the controls too). And again, the same applies to ground vehicles and boats. Quote: "One lane has reopened on Interstate 70 westbound after a tour bus carrying middle school students caught fire, shutting down the highway for more than an hour. PennDOT and state police said all lanes of westbound traffic came to a halt around 6:30 a.m. between Exit 11 (Taylorstown/Route 221) and Exit 6 (Claysville/Route 231) in Washington County." Quote: "A fire broke out on a shuttle bus during the rush hour in Wuxi New District, Wuxi, Jiangsu, on April 22. No casualties were reported after the bus burst into flames." Quote: "Friday afternoon, the Virginia Beach Fire Department confirmed the fire was caused by an underground power line shorting out. The power line fed into the Dunes condo building, officials said." Quote: "The death toll from Nepal's earthquake rose to 3,218..."
Quote: "School administrators say the bad smell that has persisted for several months could force teachers and students to relocate. 'It stinks very bad,' said Malachi Revels. 'It smells like rotten eggs and fish. One student threw up.' The mysterious odor is plaguing John B. Cary Elementary." Quote: "When police arrived at the Cambridge West Apartments, 1315 Bob Pettit Blvd., at about 1 a.m., they found Anton Joe, 25, and Ishita Maity, 28, at the bottom of the pool, police said. An officer went into the water and pulled them out, but both were unresponsive, police said." Quote: "If it seems like earthquakes and erupting volcanoes are happening more frequently, that’s because they are. Looking at global magnitude six (M6) or greater from 1980 to 1989 there was an average of 108.5 earthquakes per year, from 2000 to 2009 the planet averaged 160.9 earthquakes per year: that is a 38.9% increase of M6+ earthquakes in recent years." 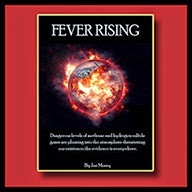 Quote: "Unrest also seems to be growing among the world’s super-volcanoes. Iceland (which is home to some of the most dangerous volcanoes on the planet), Santorini in Greece, Uturuncu in Bolivia, the Yellowstone and Long Valley calderas in the U.S., Laguna del Maule in Chile, Italy’s Campi Flegrei – almost all of the world’s active super-volcanic systems are now exhibiting some signs of inflation, an early indication that pressure is building in these volcanic systems." Quote: "We are beginning to witness more aggressive activity from the world’s eruptive volcanic systems. Chile’s Calbuco, Peru’s Ubinas volcano, Indonesia’s Mt. Sinabung volcano, Mexico’s Colima volcano, and Costa Rica’s Turrialba volcano are not the only volcanoes ejecting high altitude ash plumes in more powerful eruptions these days – the list of volcanoes across the globe now experiencing similar simultaneous activity is growing." Quote: "Authorities say a plane made an emergency landing at Philadelphia International Airport after one of its two engines caught fire. One passenger was taken to a hospital after reporting chest pains." Quote: "'Engine 2 is on fire... 48,000 pounds of fuel... 75 souls. And this is the inbound aircraft... on 2 mile final. The Brickyard. And he said the engine is on fire,' said another controller." Quote: "One passenger sent NBC10 video of the propeller not moving as the plane continued to fly. Everett Cunningham, another passenger, told NBC10 he could see the propeller stop in mid-air as fire consumed it." Quote: "The captain of the Sorrento called for help at 1:50 p.m. Spanish time when he was 15 miles west-south-west of the island of Dragonera, west of Mallorca, said the Coastguard in a statement. The captain first thought evacuation would not be necessary but the fire got out of control and the life boats were launched." Quote: "'Due to the fire that it has suffered, The Sorrento may sink in the position in which it finds themselves,' the Balearic Islands port authority said in a tweet." Quote: "The ferry was carrying 98 empty trucks and 25 with cargo." Quote: "Container ship MAERSK LONDRINA suffered explosion and fire in one of cargo holds at around 1500 UTC Apr 25 in position 15 44S 068 48E, some 700 nm northeast of Port Louis. Vessel was drifting for several hours, then resumed sailing, heading for Port Louise Mauritius for shelter at full speed." Quote: "Witnesses said they heard a boom and saw black smoke. They said they ran over to the landing and saw the boat on fire. Rosewood Landing is located on Peachwood Ct. off Hwy 707 in Socastee." Quote: "Fire has engulfed a large sector of woods in the exclusion zone around the destroyed Chernobyl nuclear power plant." Quote: "'The situation is being controlled, but this is the biggest fire since 1992. We've not had this scale of fire,' a government spokesman said." Quote: "The blazes comes just months after experts warned wildfires 'pose a high risk of redistributing radioactivity'." Quote: "Since a plume of smoke first appeared above the ocean waves of the Pacific some 500 miles SE of Tokyo, Nishinoshima Volcano has grown exponentially larger. Now near 2500 meters (7500 feet / 1.5 miles) across in a very short amount of time (months). The Japanese Coast Guard has done another flyover of the newly formed Island which reveals an ongoing eruption that has not ceased since the islands above sea formation." Quote: "At about 10:20 a.m., a portion of the Halema‘uma‘u Crater wall collapsed into the roiling lava lake, triggering an explosive event that sent lava, ash and smoke high in the air." Quote: "It is recommended not to approach the crater within 1 km. The volcano's crater contains a large acid lake and a very active hydrothermal system. Phreatic or phreatomagmatic explosions could occur any time and would pose a significant risk. The last eruptions in 2006 and 2009 were both phreatic." Quote: "Researchers have discovered dead zones in the Atlantic Ocean with oxygen levels low enough to kill most marine life, according to a report published Thursday. It added that it was the first time such zones, which usually occur near coastlines, were observed in the open ocean." Quote: "They remapped the area and discovered that every area of carbonate rock and every fault seen on the seafloor was expelling gas. They believe there are 766 individual gas flares within the area." Quote: "Preliminary indications are that methane is reaching the ocean surface - this is the first time this has been measured in New Zealand..."
Quote: "Firefighters said a portion of the building was evacuated after a 'rotten egg smell' was reported, but there was no hazardous gas or odor found." Quote: "The Chilean volcano that erupted spectacularly twice last week is causing more chaos after once again spewing a cloud of ash and gas into the sky. Calbuco began erupting again today, sending a massive plume of smoke into the clear blue sky. The volcano spewed over 200 million tonnes of ash last week, coating nearby towns, wrecking the local salmon industry, and forcing the cancellation of flights as far as Buenos Aires, some 870 miles away." Quote: "A new eruption could be on its way at the volcano. A sharp increase in volcanic CO2 emissions, significant deformation of the Dolomieu crater, and a migration of earthquakes from deep to shallow (7 km) levels, as well as earthquakes near the surface itself that have appeared over the past weekend suggest new magma is on its rise to a possible new eruption, which would be the second in 2015."